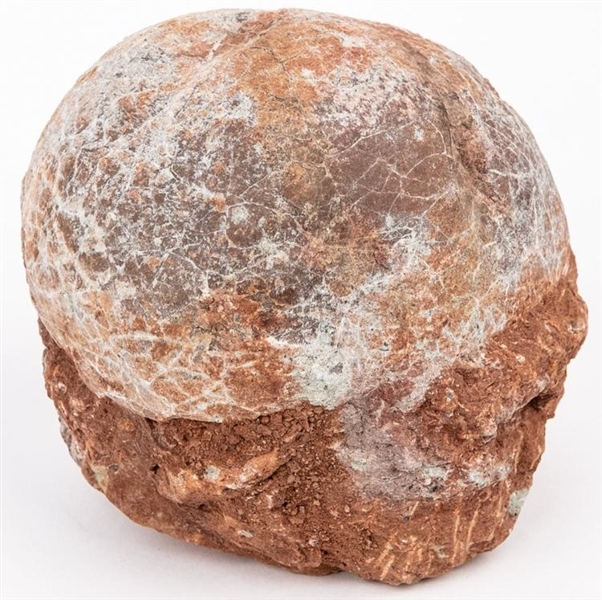 80 Million Year Old Duckbilled Dinosaur Eggs. 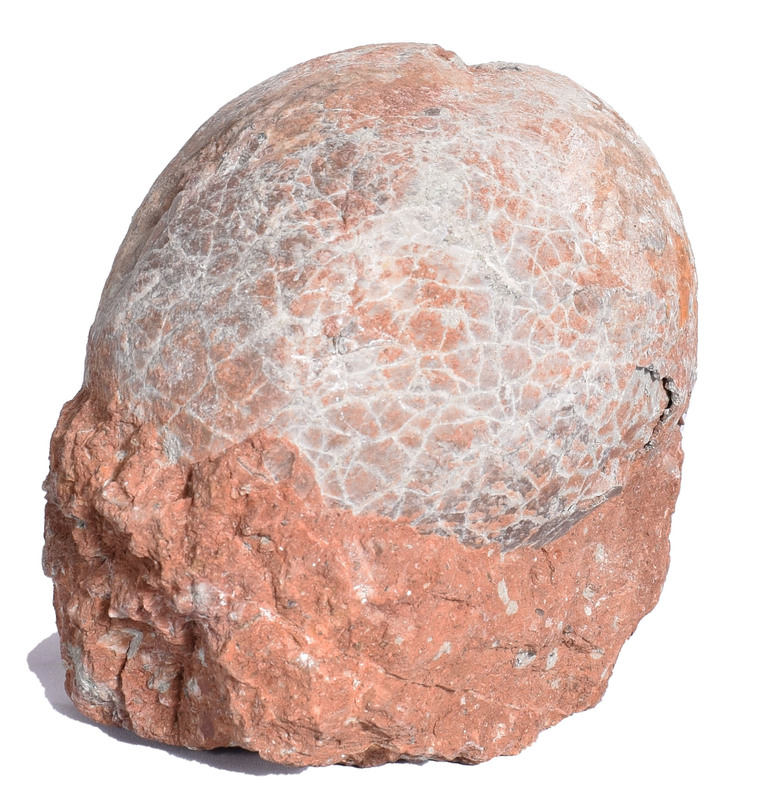 This complete unhatched Hadrosaur (duckbilled) dinosaur egg is 70-80 million years old and quite large, measures 5 1/2 inches tall and 6" inches wide, with 90% of the original shell. The exact species of dinosaur cannot be determined from just an egg, but this shape of egg has been determined to be from a duckbilled dinosaur from duckbilled dino bones found in the area of the nests of eggs. Such a Hadrosaur duckbilled dinosaur is Shantungosaurus, which has been found in the same area as the eggs and was one of the largest Hadrosaurs at more than 50 feet long. Duckbills herded together and nested in great numbers (100-200 large animals). Weight is 9 lbs. 8 oz.